Welcome to our Loyalty Rewards Program. This program is our way to reward you, our loyal customer, for your support. As a member, you can earn points when you shop in our Dealership. Points can be redeemed for Rewards Certificates to be used on future purchases at the Dealership. 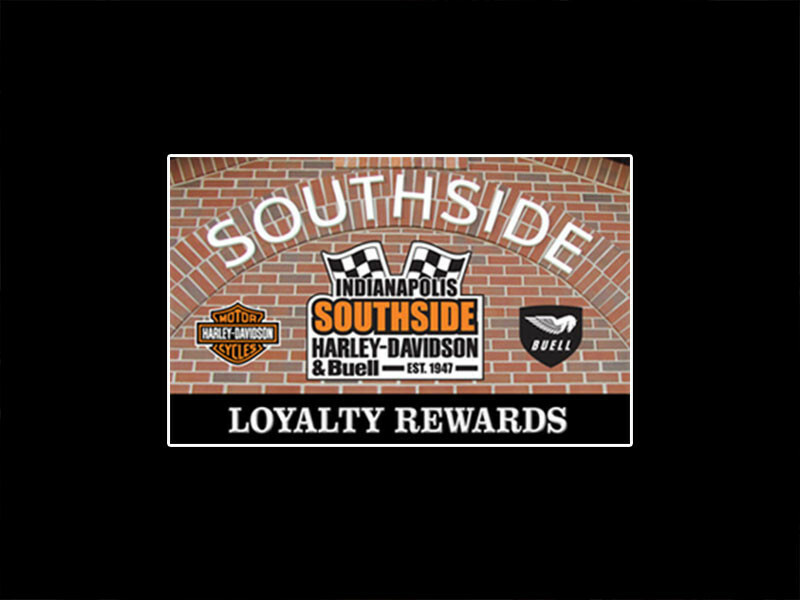 Stop by Indianapolis Southside Harley-Davidson® to get your FREE Loyalty Rewards Card. You'll receive one Loyalty Rewards Point for every $1 spent in our Parts, Service and General Merchandise departments – even on SALE ITEMS (Excludes Tax). There is no cost to join and it only takes a few seconds to sign up at our dealership. Once you have joined and received your Rewards Card, you can start earning points. The more you spend, the more you save. This is our way of saying "Thank You" for coming back again and again to Indianapolis Southside Harley-Davidson®. Points are accumulated immediately upon purchase of any product or service and will be posted to your account within 48 hours. You'll need to set up your online account to activate your card. Visit our website - SouthsideHarley.com and click on the Loyalty Rewards Program Icon. It asks if you have a password, click "No, I need a password". This will prompt you to enter your Loyalty Rewards number and security code (found on the back of your card), click "continue". Then enter your email address once, then again to confirm it, click "continue". Finally, you create your User Name (your email) and password. Click "Finish - send confirmation email". When you get the confirmation email (check your spam folder) you will need to go into the email and click "activate card". Once you have accumulated enough points, you can print out your Reward Certificates to redeem in our Dealership for parts, merchandise and service. Print your Certificate from your Rewards Account and bring it to the Dealership to redeem. Once a Reward Certificate is printed it must be redeemed within 30 days. The more points you accumulate, the larger the Rewards Gift Certificate value. You can earn additional points by visiting our Dealership on designated event days and taking advantage of our special promotions like double points days. Sign up for our Monthly Email Newsletter to be notified of special Bonus Point opportunities! NO points will be given on labor sales. You will get points for parts and accessories on the service tickets unless it is warranty work. 1,500 points will be given for new or used motorcycle purchases. Rewards Certificates earned under the Loyalty Rewards Program CANNOT be credited to an account, redeemed for cash, used toward motorcycle purchases, used to purchase gift cards, used towards special order and layaway deposits, warranty work or collision repair. Rewards Certificates expire 30 days after printing. Rewards points CANNOT be added for purchases made before you joined the Loyalty Rewards Program. Rewards points CANNOT be earned on purchases made with your Rewards Certificates. Rewards points CANNOT be earned on dollars spent on motorcycle purchases. Rewards points CANNOT be earned on warranty work. Rewards points CANNOT be earned on any labor sales. Once you earn 7500 points, you must redeem them before you can earn more points. 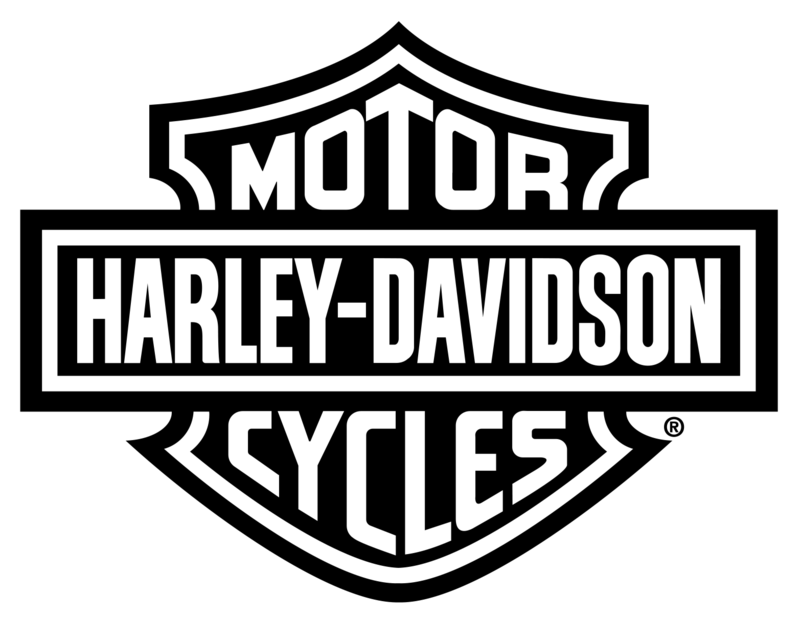 Indianapolis Southside Harley-Davidson® reserves the right to modify or cancel this program at any time without obligation or notification.